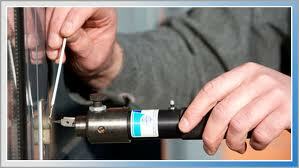 We offer 24 hour locksmith for lockouts! We are great professionals and determined to keep problems under control with immediate arrival to any location in Calgary. It goes without saying that the teams of Calgary Locksmiths do come with full equipment to the scene of the problem in order to unlock the locked door and replace the broken keys. Having as our ultimate goal your complete security, we keep our vans ready. All mobile crews of our company are practically on the move 24/7 and that’s how they can guarantee fast response. When it comes to lockout services, speed matters! There is nothing more important than velocity when someone is standing outside his car without having access. The reason plays little role since everyone’s agony is focused on rescuing people initially and secondary ensuring the security of the property involved. With our Lockout Service in Calgary you can be sure! We do not only travel fast but we know exactly what to do when we get there. With amazing equipment in our vans, we have the capacity to replace the lost office keys or be of assistance when the car lock system is jammed. Our teams are 24/7. A house lockout is dealt with fast and so will any lockout. We don’t leave our customers waiting. 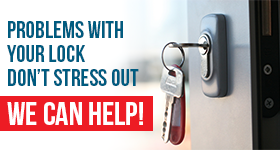 Our Calgary Lockout Service is here to provide immediate assistance! There are always technicians on duty 24/7 and they make sure your problems are solved and you have access to your home, car and office once again as soon as possible. These are harsh times and you can count on our speed! We do invest in it as well as in the good expertise of our 24 hour lockout service teams and their knowledge. We don’t only come fast but make sure of your security even if we have to change the entire lock.